NOAA’s Office of Coast Survey maintains a suite of over 1,000 NOAA electronic navigational charts (ENC) and paper nautical charts, and like many other chart producing nations, maintains an ENC focused production process called “ENC-first.” That is, ENCs are the “first” or primary nautical product, and new data is compiled onto ENCs before all other products. On April 12, 2019, the crew of NOAA Ship Thomas Jefferson hosted a change of command in Brooklyn, NY. Cmdr. Briana Welton Hillstrom accepted command of Thomas Jefferson, relieving Capt. Christiaan van Westendorp in a ceremony led by Capt. David Zezula, commanding officer of NOAA’s Office of Marine and Aviation Operations (OMAO) Marine Operations Center-Atlantic. NOAA recently announced that all nine United States Coast Pilot® volumes now contain the U.S. Coast Guard International Regulations for the Prevention of Collisions at Sea (72 COLREGS) and the Inland Navigation Rules — commonly known as the “Rules of the Road.” The navigation rules are similar to rules on the highway as they present a consistent way to navigate safely and avoid collisions. Having the newly published Coast Pilot now fulfills the legal requirement for mariners to maintain a copy of these regulations on board. NOAA recently released 13 new large-scale electronic navigational charts (NOAA ENC®) of Etolin Strait, Alaska. These charts provide a nearly twenty-fold increase in scale over the previous ENC coverage. New Etolin Strait hydrographic surveys and the resulting ENCs served as a pilot project for the overall rescheming of the entire NOAA ENC suite with a regular, gridded layout for ENC charts, as outlined in NOAA’s National Charting Plan. No corresponding NOAA raster nautical chart products in Etolin Strait will be produced. This is in keeping with Coast Survey’s “ENC-only” production concept, which generally maintains the current raster chart product coverage, but only creates new larger scale coverage in the ENC product line. 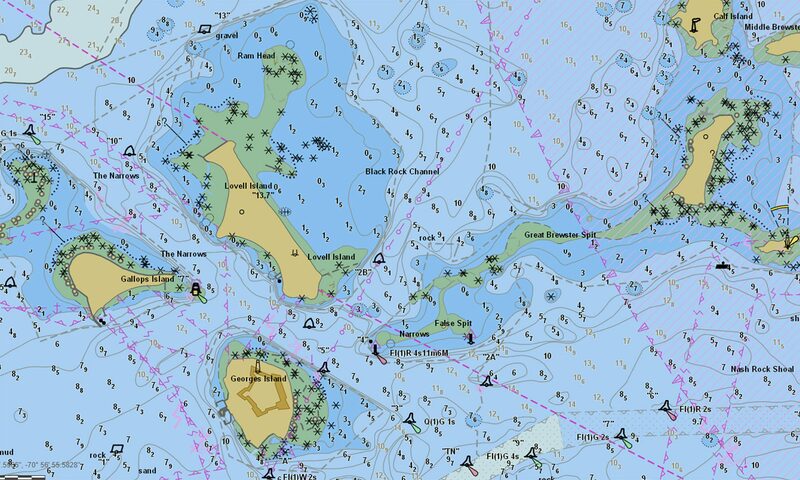 NOAA’s Office of Coast Survey recently announced plans to change the U.S. Army Corps of Engineers (USACE) maintained channel depth values on raster nautical chart products, which include paper nautical charts and the corresponding digital raster navigational charts (NOAA RNC®). Minimum depths (also called controlling depths) are collected during periodic USACE sonar surveys of channels. In the past, these depths were provided on raster charts, but controlling depths will now be replaced with the original channel design dredging depths used by the USACE (called project depths). Standardizing depth presentation on these products will improve data consistency and overall safety. Implementation begins in early 2019.